CH. Fulla Bull Q.T Arbuckle [Buckles] finish photo. He also took two back to back breed wins. 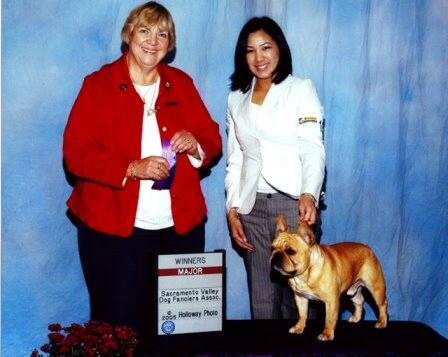 Buckles is owned by Edward Ahn, Alice Nguyen and Jane Norris and he has been handled by Alice Congratulations to VonDuran’s India Pale Ale “IPA” on his stunning show career. IPA is bred and owned by John and Jacquie Duran. 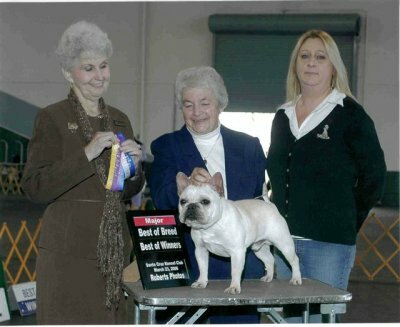 He is presented in the show ring by June Bracisco. 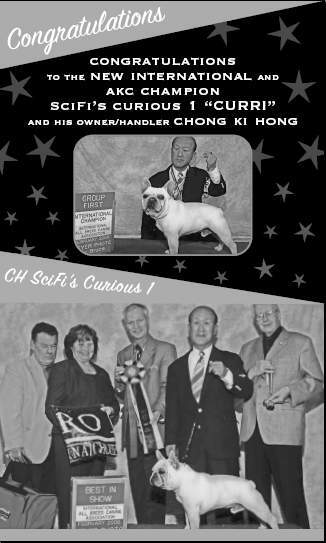 Congratulations to the new International and AKC Champion SciFi’s Curious 1 “Curri” and Owner/Handler Chong Ki Hong.